A video of a Golden Retriever holding an egg in her mouth has gone viral this week, promoting a slew of copycat footage. The original video was uploaded by the niece of an American Veterinary Technician, who performed the first experiment after she read online that her pet’s breed had such gentle mouths that they could hold delicate items, like eggs, without damaging them. While it is true that Golden Retrievers are bred to have ‘soft mouths’ (see below), and Sookie the dog demonstrates this perfectly, we at Dogs In The News would urge anyone tempted to try this trick to think twice before giving their pet a raw egg to play with. First there’s the risk of Salmonella, which can exist inside the eggs and reside on their shells. Then there’s the fact that intact egg could present a choking hazard for larger breeds, or be too big to be held comfortably by smaller dogs. If the egg is broken, the shells could cause injury to soft paws or mouths (not to mention the mess). And finally, if the raw egg is ingested by your pet, and it’s not something they’re used to in their diet, this could cause an upset stomach at the very least. It’s lovely to see Sookie demonstrating a trait for which Golden Retrievers are selectively bred, but if you want to demonstrate your own dog’s ability, try a ball. What is a ‘soft mouth’? The term soft mouth is used by aficionados of hunting dogs to refer to a behavioural tendency to pick up, hold, and carry quarry gently. Retrievers of all sorts were selectively bred to work alongside Gameskeeper when shooting game, such as rabbits, and birds, such as pheasants. The dog would run out to the recently felled animals and carry them back to the hunters in their mouths. Of course, if you’re planning to eat whatever you shot, you didn’t want it delivered to you with a lot of bite holes and mauled pieces! So, kennel managers bred for gentle bite and even dentition; this is what is called a ‘soft mouth’. 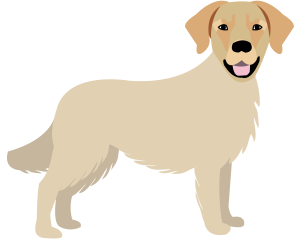 The trait has continued to serve Retriever breeds well in their modern functions of fetch-loving pets, and assistance dogs.